Summer is coming, and that means- Yard Sales!! 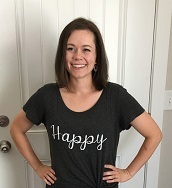 I love shopping frugally, and yard sales are a great way to find unique treasures for pennies! It also really makes me want to furnish my home with new treasures and update parts of my house. 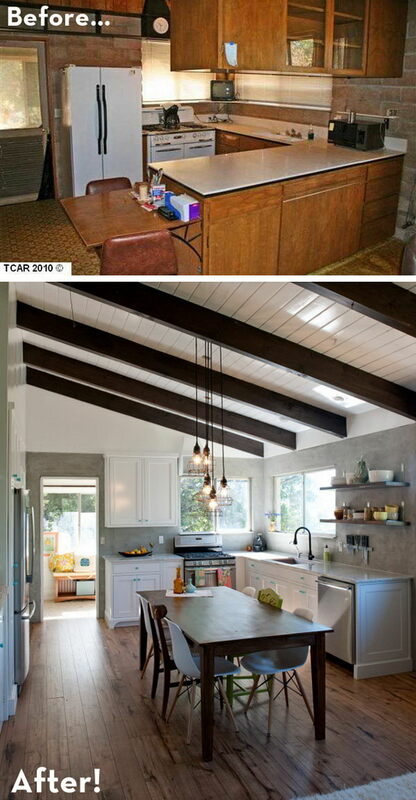 And as chefs and food-lovers, which room better deserves a facelift than the kitchen?? A kitchen can be really pricey to update or redo, but just use a few handy frugal tricks and you can really change the look and feel of your kitchen for very little cost! *Flowers. This one seems so obvious, but it can really take your kitchen from blah to wow! And there’s just something so homey and cozy about flowers. 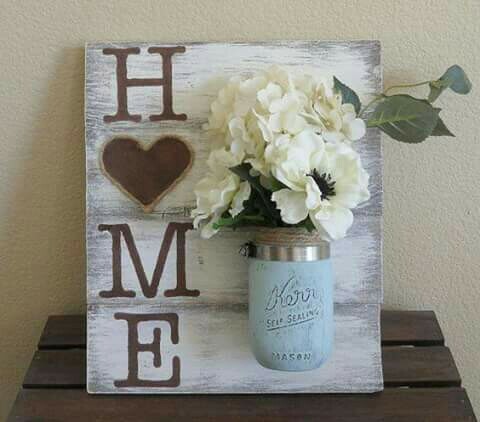 You can keep a vase on the kitchen counter, or make a cute wooden/mason jar board and keep fake flowers inside (if you’re a flower killer like me… alas). 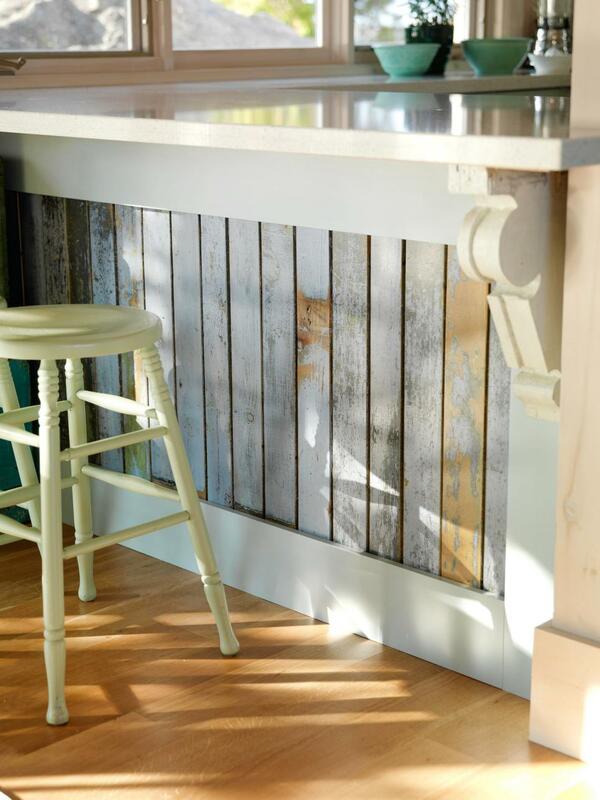 *Use weathered wooden boards to add a unique look to your kitchen island. I personally love this farmhouse look! *Stain/paint the cabinets. This project is definitely not for the faint of heart, but with the right stain and a little elbow grease, you can really update the look of your kitchen for a fraction of the cost! Try a stain for a different wood look, or really go all out and paint your cabinets a shade of blue to really give it personality! *Add color. 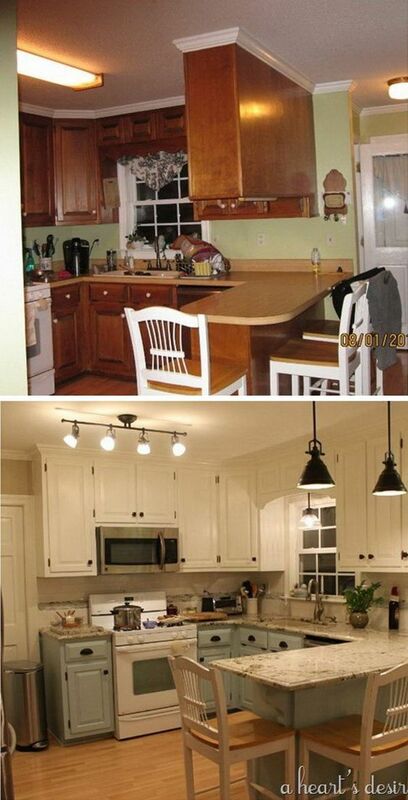 If your kitchen has been seeming blah to you, try adding a color. Curtains, picture frames, plaques, etc. can all help to add some color and change the feel of your kitchen. If you already have a color scheme in your kitchen, try changing it up or adding a coordinating color to give your kitchen a new look. *Update your light fixtures. This may not be super cheap if you buy brand new, but if you find a unique piece at a thrift store or garage sale, it can really add a lot of personality to your kitchen! *Change the doors. Often kitchens have a plain, boring pantry door, but try painting it one solid color to really make it pop! 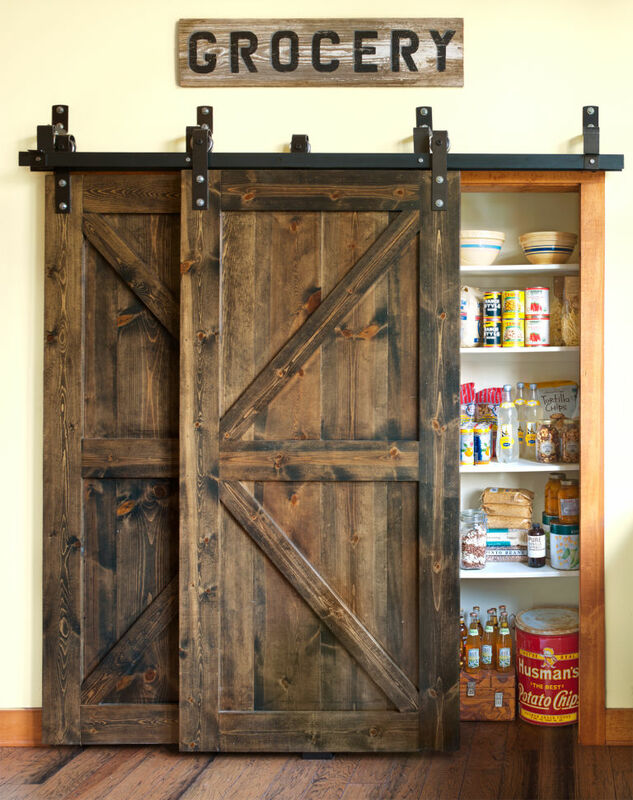 You could also change the pantry door for a barn door or even a curtain to change things up. This one thing alone could really change the atmosphere of your kitchen! *Chalkboard paint works wonders. Whether you paint a wall, a cupboard, or add a small chalkboard, having something to write on in the kitchen is not only super handy, but fun and darling! 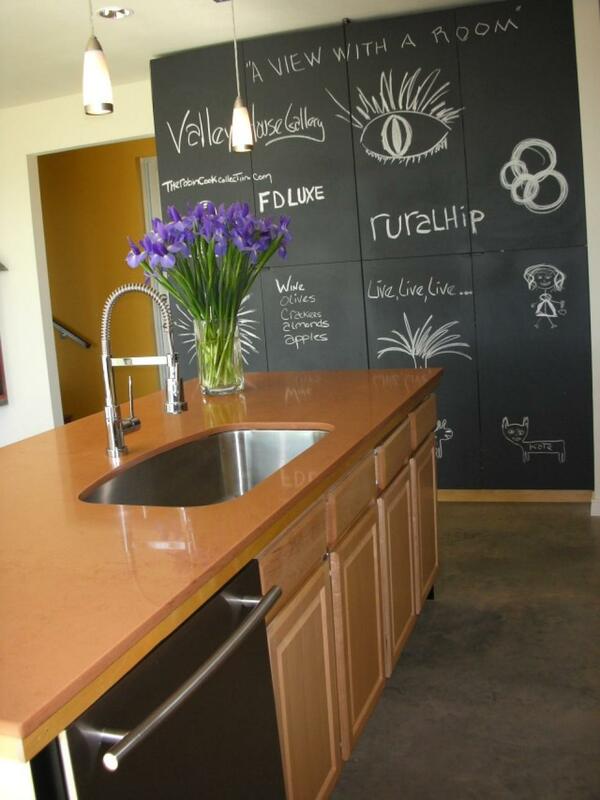 Hopefully this list gave you some ideas of ways to update your kitchen! What tips do you guys have for updating your kitchen?